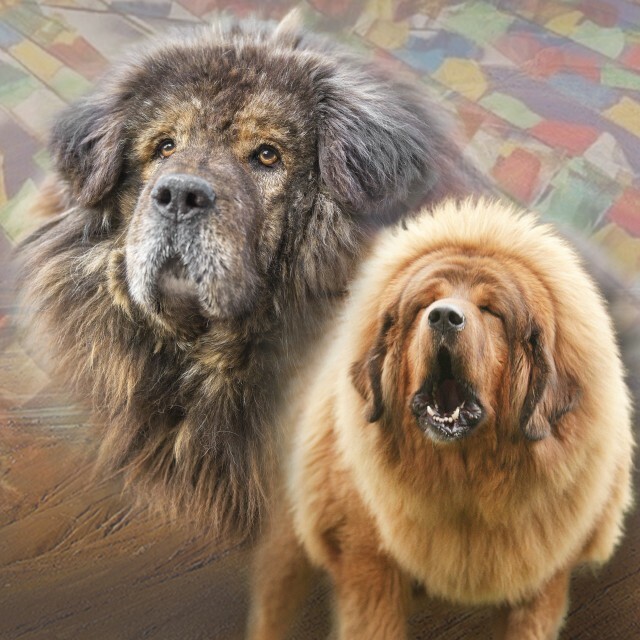 The so called “Apso do-khyi” or “wire-haired coated dog” is a peculiar and very rare variety of “Tibetan mastiff” nowadays. The prefix “Apso” is the contraction of the word “rapso”, which means “caprine appearance” and it refers to his typical coat indeed. 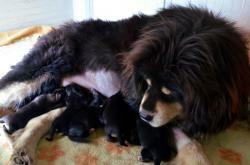 Whereas in China these dogs are called “Zang-shi”, which means “Tibetan lion”. 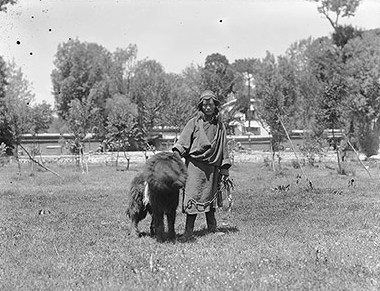 Frequently, in the most dated sources it is said these dogs are original from Ngari Prefecture in the Western Tibet, to be more precise in the area exactly close by Kailash mount, and also in the Kinnaur District (Himachal Pradesh, India). 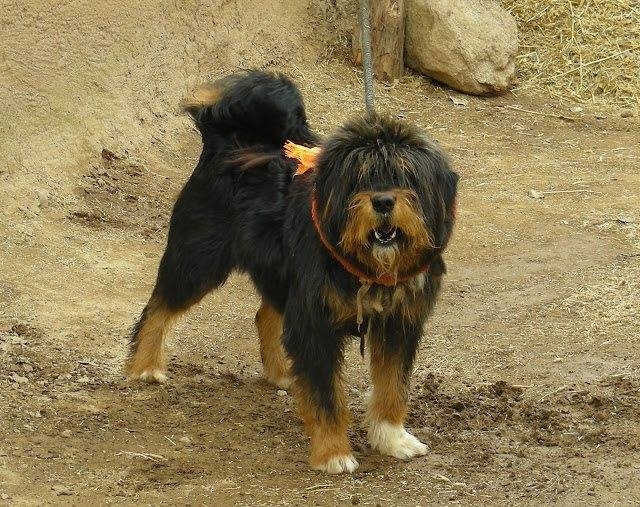 Indeed, the name used to refer to the dogs living in the Southern part of the Himalayan mountain system is “Kinnauri kutta”, which means Kinnaur dog. 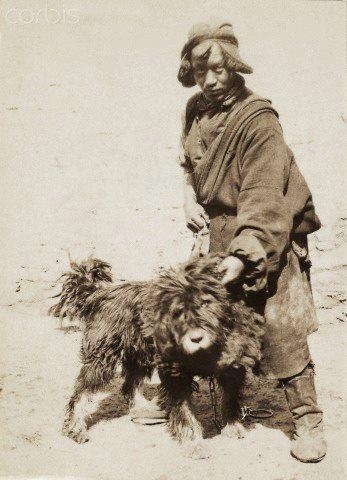 Actually this is not true, because specimens of this type were found in other Tibetan areas, as it is proven in the photograph, which was taken in 1905 by Ch’uan Shao in Qinghai (photo 1). 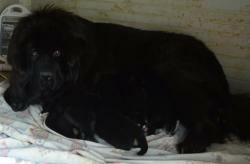 With respect to the origin of these dogs there are two main theories, which heavily condition debates among enthusiasts of this breed. 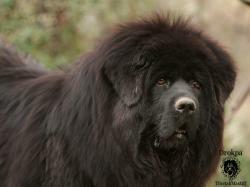 Somebody thinks it is a spontaneous genetic mutation, whereas the others think the gene has been introduced after the crossbreeding between do-khyi and apso type dogs living in Tibet. Despite of their origin it is important to underline it is rare to observe in apso dogs the same body structure and proportions there are in normal specimens. As it happened for their smooth haired cousins, apso do-khyi have aroused curiosity and interest in Western travellers as well. 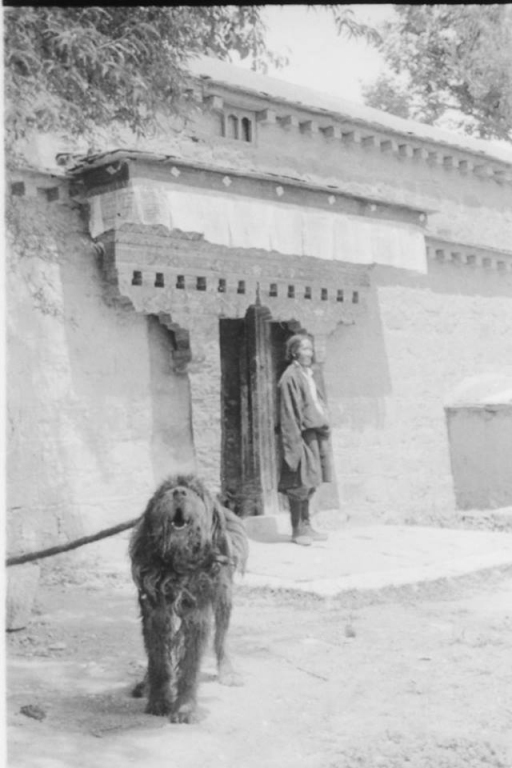 This was the case of the dog belonged to Thubten Gyatso, 13th Dalai Lama (1866-1933) who was photographed by Eric Bailey (photo 2), and also Sir Charles Bell who visited Lhasa palaces during his permanence there (1920-21) and who photographed a Dalai Lama’s well beloved apso do-khyi (photo 3). 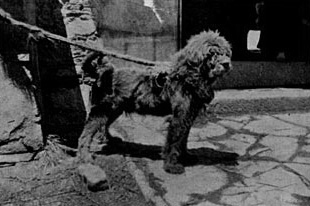 In 1908 during an exploration Dr. Sven Hedin, the man who drew the first detailed Tibetan map, photographed a wire-haired coat mastiff (photo 4). 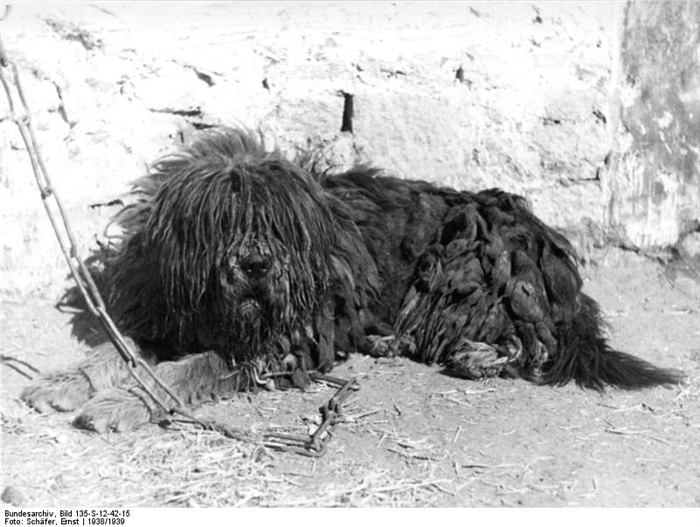 The German naturalist Dr Ernst Schäfer, who was the commander in the SS-Ahnenerbe mission in Tibet (1938-39), took a photograph of an also do-khyi in Lhasa area (photo 5). Another significative photograph was taken in 1944 by Archibald Steele at Norbulingka, the Dalai Lama’s summer residence (photo 6). 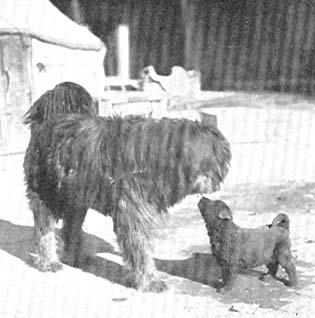 Today these vintage images are a priceless proof about the existence and the consideration these dogs had in the “old Tibet”.